Siddhartha Sharma, is a qualified Company Secretary and Fellow Member of both The Institute of Company Secretaries of India (ICSI) and Governance New Zealand (NZ Division of the Institute of Chartered Secretaries & Administrators, UK). Siddhartha is also a Law Graduate from Delhi University. 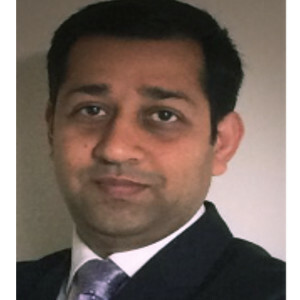 Siddhartha has around 14 years of work experience in Corporate Governance, Compliance and Management Roles and worked in various industries and in different jurisdictions (India, UK, Australia and New Zealand). Currently Siddhartha is working as Company Secretary and manages the Corporate Secretarial Service Line for TMF Group, New Zealand office. In this role, Siddhartha has assisted many business expand their markets internationally. TMF Group is a truly global company with 120 offices in 80 countries worldwide. TMF Group helps business operate seamlessly across borders by reducing risk, control cost and simplifying operations. TMF Group is world-class provider of essential corporate services and enables multinational businesses to confidently and quickly establish a presence anywhere in the world via international incorporations, corporate secretarial services, accounting and tax services and HR and payroll services. Outside work, Siddhartha enjoys spending time with family and playing cricket and table tennis.